Although the technical details are shady at this stage, it seems that Samsung is working on an in-house GPU for its upcoming gaming handset. Sadly, there is no release date to talk about yet, but given the increasing popularity of this segment of the market, there is no doubt that Samsung will join the gaming phone sector as soon as possible. 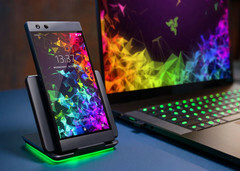 If the latest rumors turn out to be true, Samsung will hop on the gaming phone bandwagon with style, namely with an in-house GPU solution built specifically for this sector of the market. The first time a Samsung-made gaming phone made the headlines was about three months ago, and now the time has come for it to hit the rumor mill once again. According to insiders who are apparently familiar with Samsung's inner workings, the company's upcoming gaming phone could feature an in-house GPU. Back in 2015, Samsung signed an agreement with ARM to use its GPUs in the Exynos chips. This might have been the cause for a delay in developing a Samsung-made GPU, but it looks like the time for this achievement has finally arrived. Since nothing is official yet, the claims that this GPU will offer outstanding performance and could be a match for Apple's next-gen in-house GPU should obviously be taken with a spoonful of salt for the time being. Considering all that we heard so far about this device, we can safely assume that the Samsung gaming phone cannot be launched earlier than the next summer.